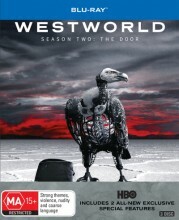 Westworld Season 2 Blu Ray from DVDLand. Welcome back to Westworld, the Emmy-winning drama series where the puppet show is over and the newly liberated "hosts" are coming for humankind. In Season Two, chaos takes control as Dolores Abernathy (Evan Rachel Wood) takes charge, Maeve Millay (Thandie Newton) is on a mission and the mysterious Man in Black (Ed Harris) is back. A dark odyssey about the dawn of artificial consciousness, the birth of a new form of life on Earth, and the evolution of sin, the series was created for television by Jonathan Nolan and Lisa Joy, who executive produce alongside J.J. Abrams, Richard J. Lewis, Roberto Patino, Athena Wickham and Ben Stephenson. The acclaimed cast also includes James Marsden, Jeffrey Wright, Rodrigo Santoro, Luke Hemsworth and more. 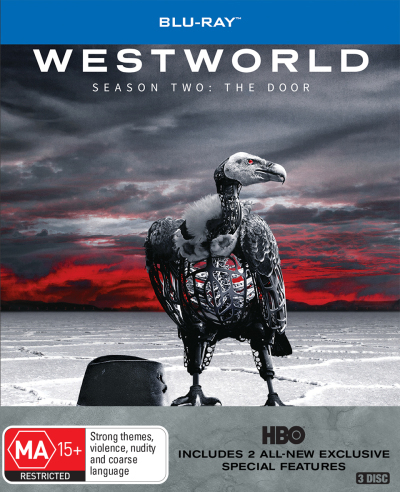 Click the button below to add the Westworld - Complete Season 2 (Blu Ray) to your wish list.